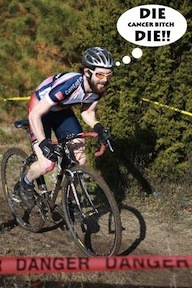 Cyclist Mark Nicholson created the Rhode Island Smack Down ride in February of 2008. In the summer of 2009, Mark died after a long battle with brain cancer. Since then, his teammates have kept up the tradition of his Tuesday night rides, though not at the blistering pace Mark set when he led them. The ride leaves from Casters Bicyles on the East Side of Providence (4th and Hope) at 5:00 stopping at De Pasquale Square on Federal Hill at 5:15 before looping out of Providence to the northwest. The terrain is hilly, but not too hilly. The pace is competitive and there are four sprint points, including one at the top of Tourtellot Hill Road. Riders who show up should be familiar enough with the route and area to find their way home, since even competitive racers have been known to get dropped during the sprints. The ride starts sometime in April and ends in the Fall when it's too dark to ride at 5:00pm. Premium tires for competition and everyday. "SCHWALBE brand bicycle tires can be found from the USA to Australia and Japan to South Africa. And in Europe we are the market leaders!"